Q: Will you perform a contrast sensitivity test before and after the surgery? 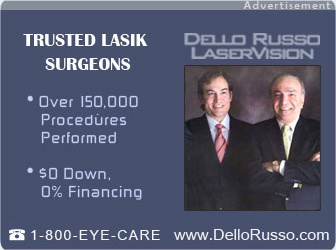 Will you perform a glare sensitivity test before and after the surgery? A: In the very early days, in the evolution of laser eye surgery, some patients complained of trouble seeing street signs at night, glare while driving at night, star bursts, haloes, etc. As the technology quickly improved, these complaints were eliminated except when due temporarily to dryness, or due to poor surgery.